Hone your culinary skills as a member of students attending a cooking class in Hoi An. The cooking school is just one of the highlights of a 22-day cultural tour of Ho Chi Minh City, Hue, Hanoi and Siam Reap in Cambodia. The tour is available for sail until 30 June or sold out, for travel between June to October 2010. Prices start from $6,795 per person twin share and includes free return airfares to Vietnam. Shore excursions, a seven night cruise on the Mekong River, domestic flights and of course that cooking class. Get into all the facts and details by calling 1800 044 066. If you are heading into the northern summer and have a spare week. Check this one out! A seven-night cruise through the Greek islands await. The cruise is aboard the world's highest rated boutique motor-cruisers and with a saving of over 50%. 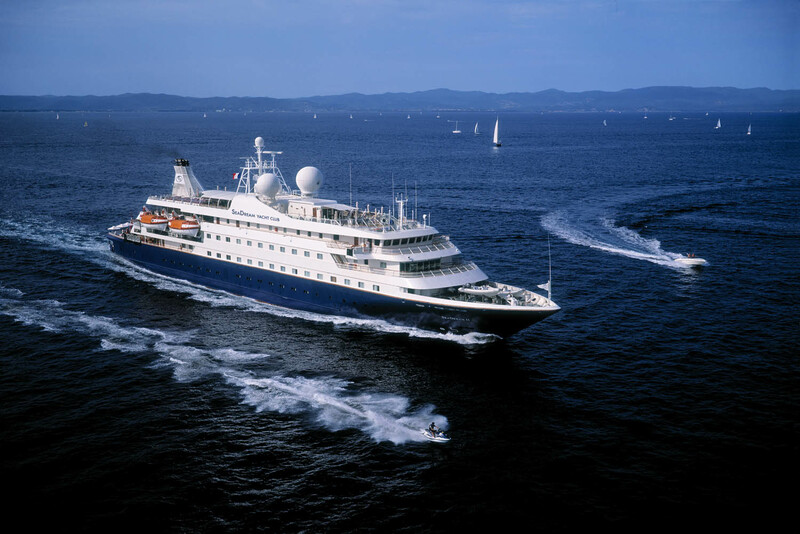 SeaDream 1 carries just 112 guests in 56 staterooms, served by a crew of 95. Prices start from US4426 sailing from Dubrovnik to Athens,- the long way around! By the way the original price for this cruise was advertised from US$9327 per person twin share. What a saving ! Check it out by calling Crise Specialist Holidays on 1300 79 49 59. The National Library which is listed as being yet another wonderful institution in our national capital,- and certainly worth a visit when hitting the high spots of Canberra, seeks your assistance. Check around your place to see if you have any past issues of the Australian Women's Weekly. This call is to encourage you to go check those areas gathering dust. If you have copies of the Weekly, call Julie Whiting on (02) 6262 1157. That's not all! The National Library is also seeking previous copies of Australian newspapers. For the latter, go visit www.nla.gov.au/anplan for a list of 'wanted' newspapers. * Please note conditions may apply to these packages and prices are subject to change and availability. This information is provided as a guide only. Check with your travel agency. Block-out periods may apply.